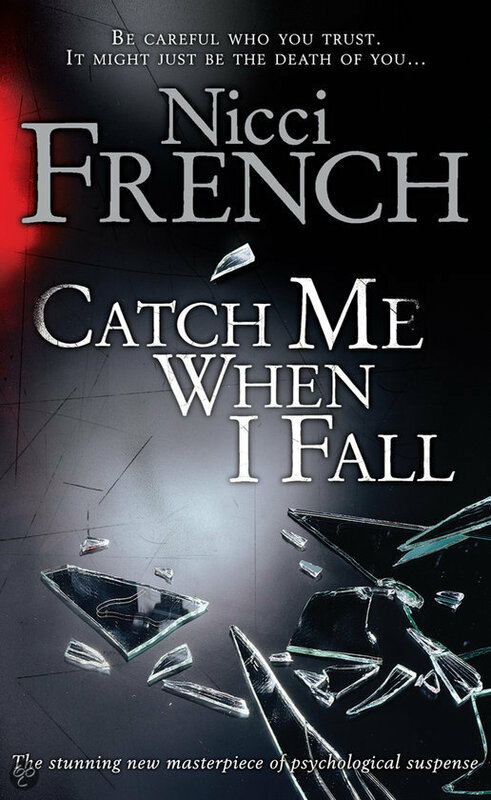 I picked up Catch Me When I Fall because I had been discussing mystery novels with an online friend, and they absolutely gushed about the books by Nicci French, a husband and wife writing team. I looked up a couple of their books and, curious to see how the whole writing team thing would pan out, picked up this one and promptly left it on a shelf, as is my wont. But, got to it eventually, and it wasn't at all what I was expecting it to be. 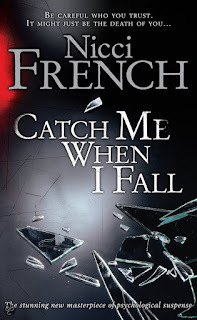 Catch Me When I Fall follows Holly Krauss, a woman who seemingly has everything: a loving marriage, a small business at the peak of success and what seems like an almost innate ability to charm those around her. But when she gets the opportunity to let loose, she has a tendency for recklessness and making decisions that she never would otherwise. One night, having had far too much to drink, she has a one-night stand, not realising that it will spark off an avalanche of successive mistakes that could threaten her entire life as she knows it. When I read the blurb, part of me thought that this would be a tense, edgy sort of thriller, very gritty in tone. What I got was a surprisingly in-depth analysis of a person having a mental breakdown and crimes that were, in comparison to most entries in the genre, almost ploddingly pedestrian in execution. It was quite refreshing really. Instead of having one huge villain character who creates tension through the sheer outrageousness of their crimes, there's a focus on one victim's life and how lots of smaller incidents can build up and potentially destroy them from the inside out. There's as much tension created through Holly's reckless actions and her poorly thought out ways of righting the consequences of those actions as there is from the genuine threat that other people in her life start to pose to her, if not more. I guess it's just interesting to me to see a novel marketed as crime where the protagonist might well be the biggest cause of their own suffering. It's really fascinating for that reason alone. There is another large factor in why I like this novel, but it is a pretty big spoiler from about halfway into the book, so if you want to avoid any, then skip to the end of the spoiler notices. I liked that Holly's bipolar disorder was handled in an unexpectedly sensitive way. While I personally object to the fact that the moniker of "madness" is thrown around occasionally in what I can only interpret as an unironic usage, the actual depiction of her mental illness is surprisingly well balanced. She's not so extreme in her mood swings that she becomes unrecognisable as a person or unsympathetic enough that the audience has no choice but to abandon the book in disgust. The mental illness itself isn't romanticised, with the people around her increasingly concerned with regards to her well-being as it progresses, and the negative effects on other people is made abundantly clear. But at the same time, it isn't demonised. When Holly starts regularly taking medication to treat it, there is a part of her that misses the intense highs and lows that it brought into her life. She misses the intensity of it all, and wonders whether that means that she is denying an integral part of her personality. For me, while I didn't wholly relate with her experiences, there were two parts that really warmed me to her as a character. Firstly, there was the description of coming into a diagnosis of a mental illness/condition as an adult, that process of looking back at previously unexplainable behaviour with a sense of clarity and being able to work around limitations that you were unaware of before. Secondly, much as I would prefer otherwise, there was something that struck a chord in the description of Holly's down days, where it would be an effort of Herculean proportions to even get out of bed and get washed. I have never been diagnosed with depression or any of its related conditions, but those scenes seemed somehow universal in scope.